From industry-specific knowledge, to hourly rate, to FPGA, PXI, and cRIO skills, there’s a decent amount to consider before you select a LabVIEW consultant / programmer / developer / engineer. Maybe someone just dropped some LabVIEW on your lap. Maybe you’re LabVIEW programmer quit or retired, or maybe you’ve got some internal capabilities but need some additional support because everyone’s too busy. Depending on the industry you’re in (e.g., medical device, aerospace/defense, electrical components/systems manufacturing, rail, automotive, or just general industrial manufacturing), it may or may not be important for your consultant to have some level of understanding of your industry. Depending on the application they’re helping you with (e.g., a test system vs an embedded solution), you may want them to be more or less aware of common hurdles or regulations (e.g., FDA, ITAR, FAA, FRA, UL, CE). The other way in which industry-specific knowledge plays out is often more application-specific. For example, an understanding of RF systems might be tightly correlated with military or telecom, but now that application-domain knowledge is useful in the automotive domain. Another example could be application knowledge of hydraulic actuator testing, which might be applied to aerospace and to heavy equipment. The point here is that often times the largest success factor in being able to solve your problem could be the consultant’s ability to work with you to translate your industry-specific knowledge into the measurement and control system domain. If you’re looking for LabVIEW help and you want a specific number, we can share our standard hourly rates with you if you want to reach out here. Hourly rates vary a fair amount, just as with many other consultants. Generally, the three main drivers for rate variations are: (1) skill set (2) company size and (3) geography. Skill set – this usually boils down to two categories: (1) expertise with particular tools of interest (e.g., LabVIEW FPGA depth of knowledge) and (2) expertise within a particular industry or application (e.g., knowing how to tune the control loop for an airplane actuator). Company Size – One-person shop vs a “larger” company – “Larger” is in quotes because the vast majority of LabVIEW houses are still relatively small companies. There are definitely pros and cons to each, it just depends on your needs. The hourly rates of a one-person shop are likely to be at least somewhat lower. A one-person shop may be better suited for you if you need someone right in your back yard to come on site regularly. A larger company may look more appealing if you need deeper bench strength or are looking to reduce the risk that if one person leaves the company that you’ll still be able to get support. Geography – a consultant that lives near a larger metro area will generally cost you more due to the higher cost of living. 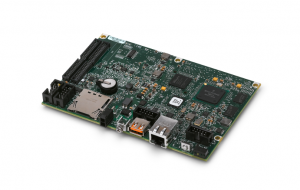 How many LabVIEW FPGA projects have you done? 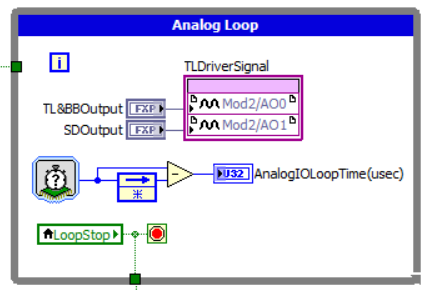 What sorts of algorithms have you implemented with LabVIEW FPGA? Can you show me any case studies where you utilized an FPGA? With the responses to these three questions, you should get a good sense of where they fall on the LabVIEW FPGA depth of knowledge scale. 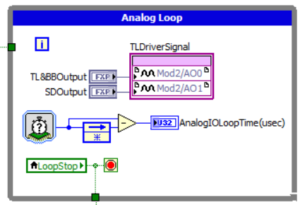 See here for our LabVIEW FPGA depth of knowledge. LabVIEW RT depth of knowledge is also important, just not quite as important as for LabVIEW FPGA. 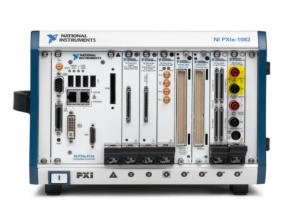 NI Platform knowledge – PXI? cRIO? sbRIO? If you just need LabVIEW that runs on a standard desktop PC, then you can skip this section. However, if you’re wanting to utilize NI hardware for signal measurement and/or control, then you probably want to understand what level of experience the consultant has with the various NI platforms. At their core, these platforms all take advantage of LabVIEW, but there is tribal knowledge built up around what you can/can’t or should/shouldn’t do with each platform. For example, Viewpoint has a lot of experience with cRIO (see here) and PXI (see here), but not a lot of experience with sbRIO (there’s a reason why you don’t see much sbRIO-related info on our site; go ahead and search “sbRIO” from our search bar and see what comes up. It’s not that we’re against it, just haven’t had the opportunity to use it much yet). If you’re interested in a comparison of the various NI platforms, check out Which NI Platform is Most Appropriate for My Test Needs?. Chances are your application is going to have to interface with something in the physical world. If that’s all already handled, then good, but if you need help with non-LabVIEW aspects of your application, it’s worth finding out how else the consultant can help you. The way we operate at Viewpoint, our circuit board design capabilities are reasonably strong (e.g. see here). For rack builds and cable harnesses, we don’t do them in-house, we have a few companies we prefer to partner with. 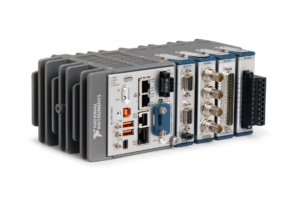 Check out our proof points to see why we’re LabVIEW experts.